From 1926 until about 1973, US 210 ran an east-west course from US 10 at Motley to US 61 west of Carlton. The route was decommissioned in 1973 and replaced with MN 210. 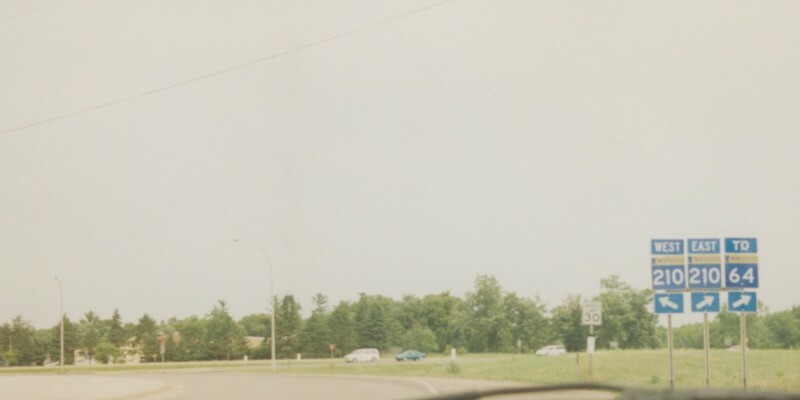 Shown here is where MN 210/Former US 210 junctions with US 10 in Motley. Photo by Adam Froehlig, taken in 1999.